10. 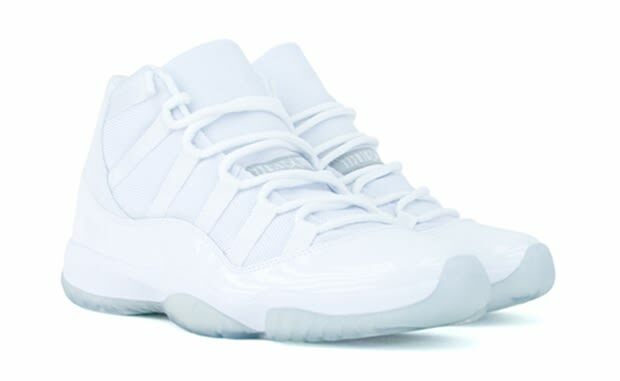 Air Jordan XI "Silver Anniversary"
Happy Anniversary to the Jordan brand, 25 years of dropping heat. To commemorate the accomplishment, this XI was specially designed to capture the Jordan brand — everything pure white except that signature Jumpman logo on the upper heel. Needless to say this drop was clean and a popular pickup amongst the sneaker fiends all over.